Surgical steel ear wire. 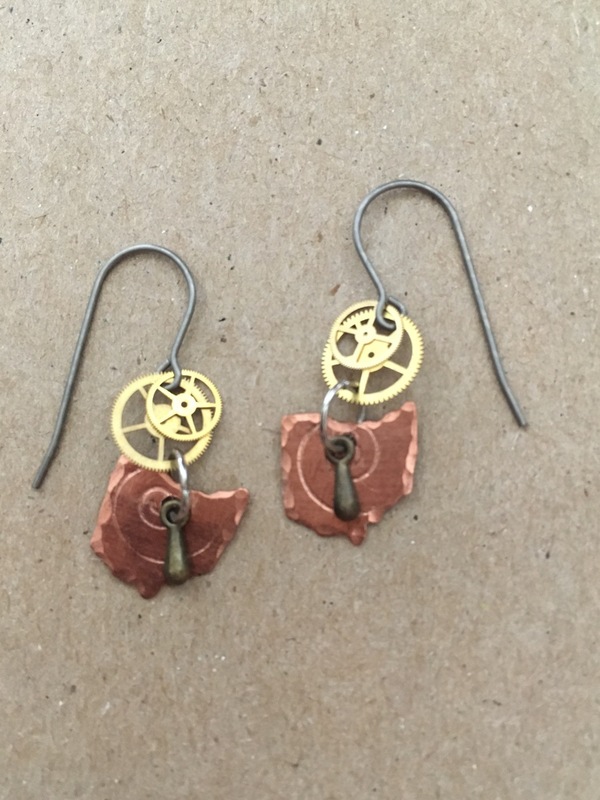 1/2 " copper Ohio with brass watch gears. 1" length.